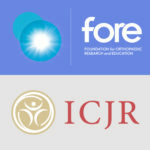 The International Congress for Joint Reconstruction (ICJR) and the Foundation for Orthopaedic Research and Education (FORE) are launching an exciting partnership that builds on their respective strengths in providing educational opportunities across the orthopaedic sub-specialties. 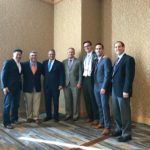 ICJR will develop a FORE educational gateway on ICJR’s website, ICJR.net, to expand the site’s content beyond the hip, knee, and shoulder into additional areas of orthopaedic surgery. Beginning this month, ICJR will record presentations at FORE’s meetings and then posts them in the FORE gateway as an educational benefit for ICJR members. 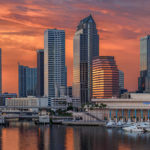 In addition, ICJR and FORE will jointly sponsor the 2016 Current Solutions in Foot and Ankle Surgery meeting, to be held January 21-23 in Tampa, Florida. “ICJR is known as a leading provider of education focused on the hip, knee, and shoulder through our live meetings, live surgery broadcasts, webinars, websites, and mobile app,” said W. Norman Scott, MD, FACS, president of ICJR. ICJR will cover FORE meetings on these topics in 2015 and 2016 and post the presentations not only on on ICJR.net, but also on ICJR Mobile, ICJR’s app for tablets and smartphones. More information about ICJR can be found here. The Foundation for Orthopaedic Research and Education was established in 1999 to provide patients with world-class orthopaedic care through research and education. FORE’s efforts to aid in the quest for orthopaedic excellence are accomplished by focusing on clinical and biomechanical research, surgical training, and continuing medical education. These areas are integral for improving the diagnosis, treatment, and care of all patients with musculoskeletal disorders. More information about FORE can be found here.